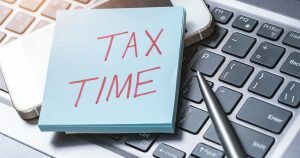 Tax time is right around the corner, and for a lot of us, that means meeting with a tax preparer. Sure, you can do your taxes yourself, but sometimes it pays to have a little advice and direction, especially if your tax situation is complex. Keep in mind that even though you’re using a professional, an accurate return still depends on good communication and organization from you. Your tax preparer can’t read your mind! A good tax preparer is going to ask you lots of questions. You need to be prepared to have the answers. The IRS already knows how much you make in most cases. The important questions regard your investments and spending. This is where your deductions, exemptions, and credits come from. Some of the things that might be deductible include medical expenses, business expenses, charitable expenses, and interest paid, to name just a few. Once you are aware of what’s a possible deduction, start saving the receipts. If you’re not sure whether it’s deductible, keep the receipt anyway or ask your tax preparer. He or she can advise you on where to look for deductions. Make sure you hold onto all of the tax-related paperwork you receive. You’ll get tax paperwork from your employer, your mortgage company, your bank, and the company that handles your retirement accounts. Tax time doesn’t have to be a headache. Think ahead and be prepared for your tax advisor. You never know where a deduction might be waiting. Finally, if you ever have a tax question, ask your tax preparer. If you miss a deduction last year, then at least you can strive to put yourself in a better position to take better advantage of deductions this year! For even more great tax advice, take a look at our entire archive of tax-related articles.